The Balkans produce more history than they can consume: one of Churchill’s many famous quotes seems to never get old. The very same could be said about other nearby areas: think about the hotbeds of latent instability in the Donbass, Transnistria, Georgia. Balkan’s geopolitics, with their ancient cleavages, inter-ethnic divisions, constantly whipped up identity consciousness and its century-long foreign influences, might further undermine an already unsteady, undefined and transitional European security framework. Putin’s recent visit to Belgrade – and Serbia’s shaky geopolitical balance itself – is paradigmatic of the ongoing geopolitical competition in the region. It’s not only Serbia though that currently finds itself in such a tug-of-war over different potential foreign states’ influences. A similar trend touches in fact other areas that are vulnerable of destabilization throughout Western Balkans, especially Bosnia and Herzegovina. The ethnically rich country is indeed facing a gradual erosion of the Dayton agreement’ contents due to the Serb-majority Republika Srpska’s ever-increasing ties with Moscow in the security domain and some Croat parties’ insistence on an autonomous entity. Alongside the issue of the creation of Kosovo’s new army, Bosnia and Herzegovina might considerably make more fragile the region. 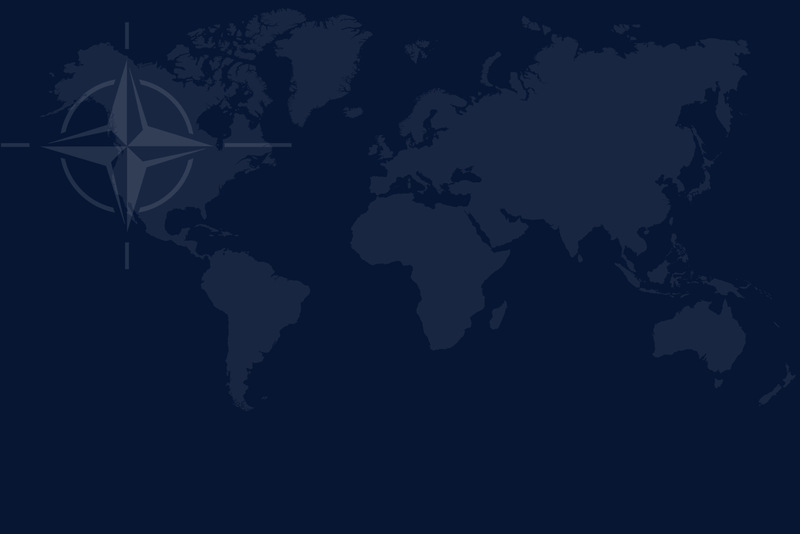 However, besides all the above, besides Russia’s opposition, besides Trump’s foreign policy uncertainties, NATO is not only holding on in the Balkans; is gaining momentum. After establishing itself as a major international community component in the region during the post-Soviet era through its enlargement policy, it scored new successes. After managing to maintain an albeit fragile balance between Kosovo and Serbia for years through its KFOR mission – while contributing to the efforts in normalising relations between Pristina and Belgrade – Montenegro became NATO’s newest member in 2017. In January 2019 instead, a new page in the history of the region was written when the (former) FYROM ended its 28-years long feud with Athens over the term Macedonia, now renamed Republic of North Macedonia. This event clears the way for Skopje’s future integration into NATO and, possibly, into the EU too. If this scenario occurs, Serbia – which is now in close cooperation with the Alliance in various fields – would be the only state left out of NATO and therefore the very last “true” Russian ally in the region. In reality, Belgrade’s position is as ambiguous now as during its Yugoslav period: good relations with Moscow but at arm’s length, proximity to the West but insisting on neutrality. The Serbian President Vucic knows that President Vladimir Putin can provide his country with overpriced guns, but that only EU has the butter necessary for a real economic development. The positive resolution of Macedonia’s dispute, which has been strongly opposed by Moscow, further strengthened NATO’s presence regionally and showed the necessary path for other states hopeful of joining the Euro-Atlantic space: territorial disputes must be mended through political dialogue. A clear and evident reference for Serbia and Kosovo. Controlling the Balkans – alongside the central and eastern European area – is paramount for the security of Europe. For history scholars it comes as no surprise: that has been key for centuries. Does the ancient label Antemurale Christianitatis ring a bell? Mutatis mutandis, current Europe’s security imperatives seem to retain its past geopolitical directives. In order to do so, a solid and coordinated Euro-Atlantic policy is needed to address such a complex spectrum of challenges. It’s conceivable that such a European policy for the Balkans would also boost a positive spill over for the weakened transatlantic bond. Giorgio Cella – Ph.D. in Politics and Institutions at the Catholic University of Milan, where he holds a seminar in Post-Soviet Geopolitics and the Ukrainian crisis. His main areas of expertise are Eastern European and Russian Geopolitics and History of International Relations.